Amazing one of a kind custom built home with over 5000 square foot, sitting on 3 lots. You won't believe the amount of space and special details. 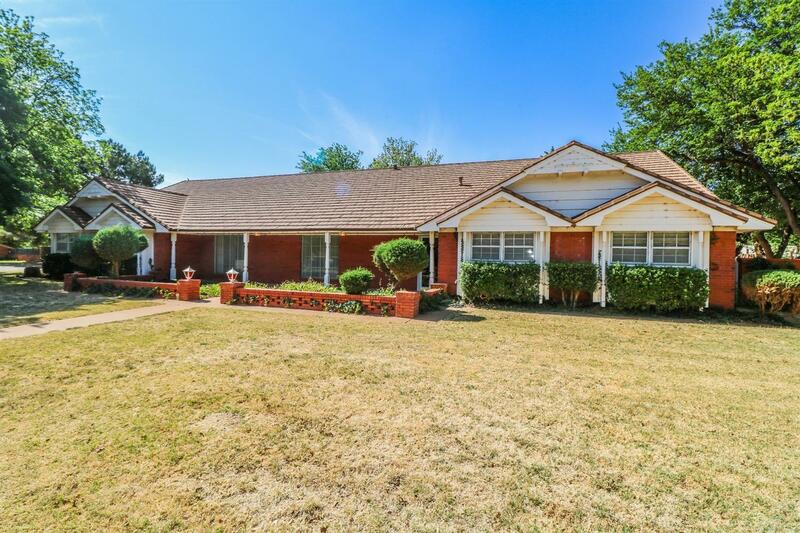 This home features 8 bedrooms, 4 baths, 2 living areas, study/library, hobby/workroom and tornado shelter. Kitchen has double ovens, triple sink, pull out drawers, built-in cutting board, large cook top with griddle, large pantry and a desk. Formal living room/dining room with built-in china cabinet and a piano nook. 5 bedrooms have walk-in closets and built-in double dressers. One bath room has triple sinks and another has double sinks. Interior workshop with a sink. Upstairs are 2 bedrooms, office and a huge game room with full kitchen and tons of storage. Front and back yard have established trees, new metal gates and 2 additional lots that is fenced in. New $40, 000 metal roof. This is a must see home.